As a brand builder, I'm sure you work hard to position yourself as an expert. Showcasing your expertise is a powerful marketing tool with ONE tiny flaw. PEOPLE ONLY BELIEVE WHAT THEY SEE! In other words, you can SAY that you are amazingly wonderful and dripping with awesome sauce, but people will only believe it when they SEE results. Thus building your credibility is a key factor in growing your brand and client list. 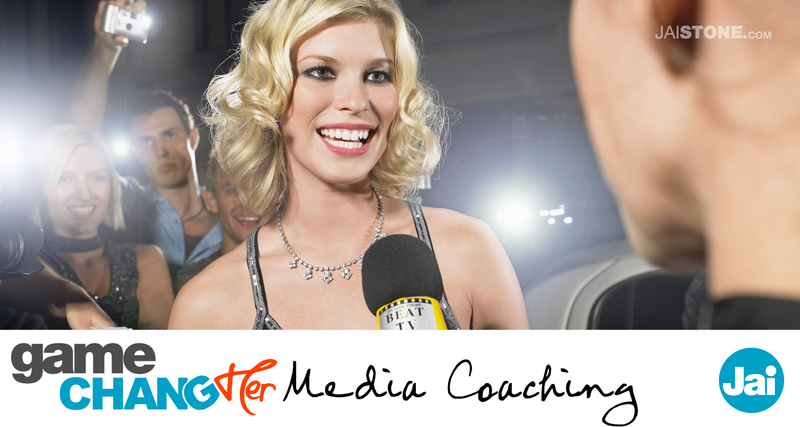 The most effective way to secure your credibility is to gain media coverage from major outlets. Just in case you missed my PRESS KIT, I've had my fair share of media coverage ranging from national print and television to featured content on websites such as Huffington Post and Essence.com. And not ONCE have I ever pitched any media outlet to gain coverage or opportunities. But this visibility didn't just "happen". I implemented some very well planned strategies that got me more media exposure than I could have dreamed of, and I can show you how. To GET STARTED with this coaching program, choose ONE payment option below or feel free to submit your questions at coachME@jaistone.com.